While a large majority of companies now permit employees to use their own devices for work, they have concerns over security and privacy. 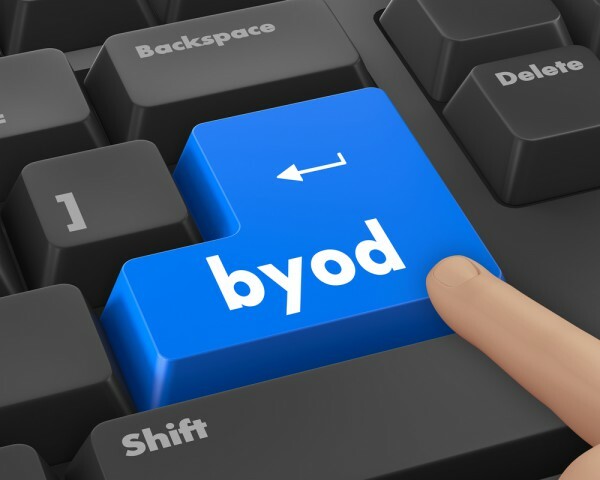 Organizations are making BYOD available to employees (76 percent), contractors (27 percent), partners (25 percent), customers (22 percent), and suppliers (19 percent). Security concerns are the main barrier to BYOD for 30 percent of respondents. Their main worry is data leakage, followed by unauthorized access to data and an inability to control uploads and downloads. The study from Bitglass shows 51 percent of respondents believe that the number of threats targeting mobile devices has increased in the past year. But only 30 percent of firms are confident that they are properly defending against malware on personal and mobile devices. "While most companies believe mobile devices are being targeted more than ever, our findings indicate that many still lack the basic tools needed to secure data in BYOD environments," says Rich Campagna, CMO of Bitglass. "Enterprises should feel empowered to take advantage of BYOD's myriad benefits, but must employ comprehensive, real-time security if they want to do so safely and successfully." Among other findings, one in five organizations lacks visibility into basic, native mobile apps -- like email -- on personal devices. Plus only 56 percent of companies are able to employ key device management functionality like remote wiping to remove sensitive data from endpoints. You can find out more in the full report which is available from the Bitglass site.